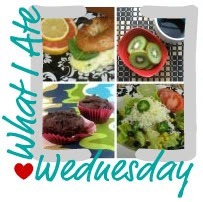 Sometimes when I write What I Ate Wednesday posts I start singing “It’s WIAW” to the tune of Gorillaz. Good song. Good way to get through the middle of the week. As always, check out PeasAndCrayons for more delicious and nutritious food inspiration. I found a free sample of nutella in my mailbox the other day. Coupled with my obsession with Great Canadian bagel makes for a sweet sweet breakfast. Though I typically like to start my day with a healthy breakfast, sometimes a little bit of chocolate is the only thing to get you through the day.. 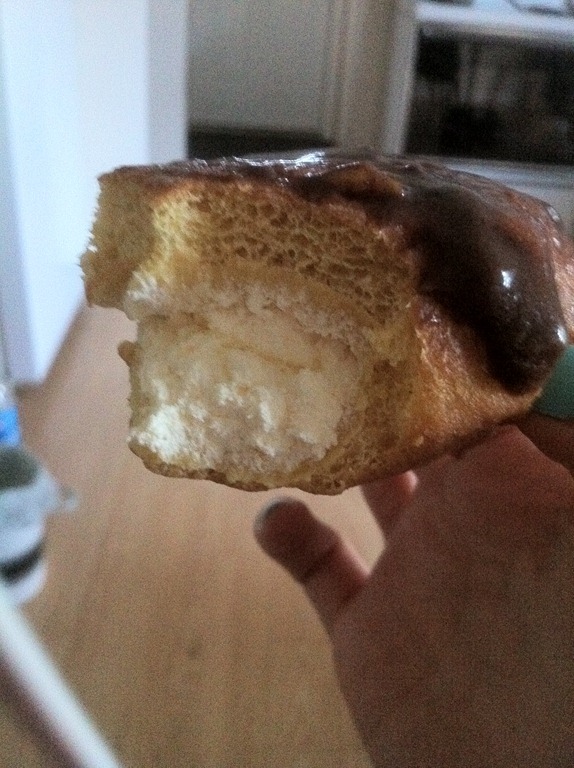 While I’m waiting for dinner, I snacked on this whipped cream filled doughnut that Mr PG surprised me with from some fancy bakery near his work. YUM! yumm! what a great wiaw! i love ohsheglows recipes–especially the avocado ones! Why do I never get samples in the mail? Must be on the wrong lists!! 😉 I keep meaning to try Nutella, but never do. I should give it a chance! I’ve been thinking of making that pasta too!! Whoa…great eats! 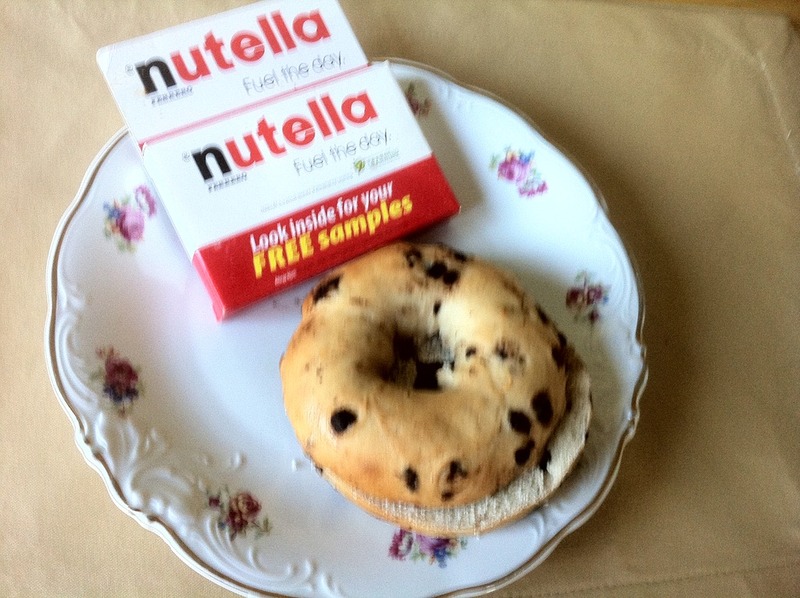 I wish I had free Nutella samples in my mailbox! 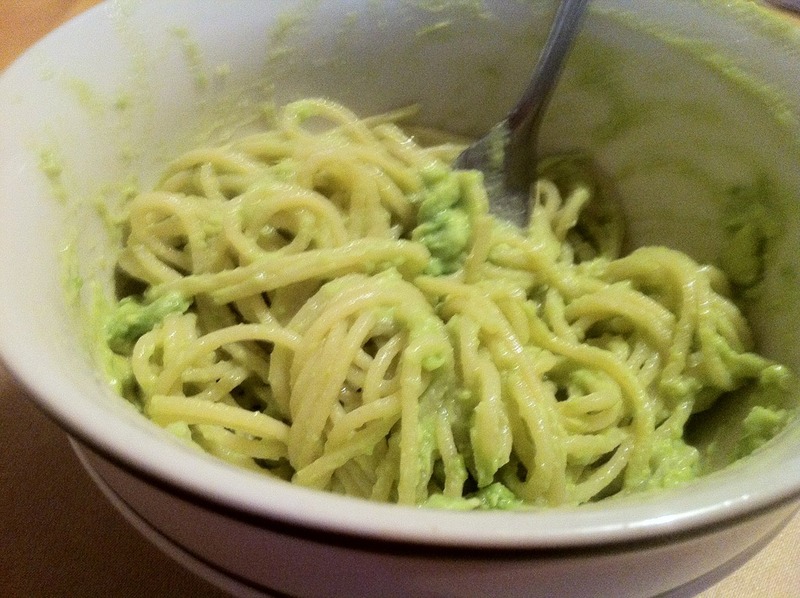 I’ve seen the OSG avocado pasta recipe but never attempted it…looks delish!